When Felix Mendelssohn's grandmother presented the young composer with a manuscript copy of Bach's St. Matthew Passion, it had a profound effect on him, and he set about preparing a performance of the work, which took place in Berlin in 1829. 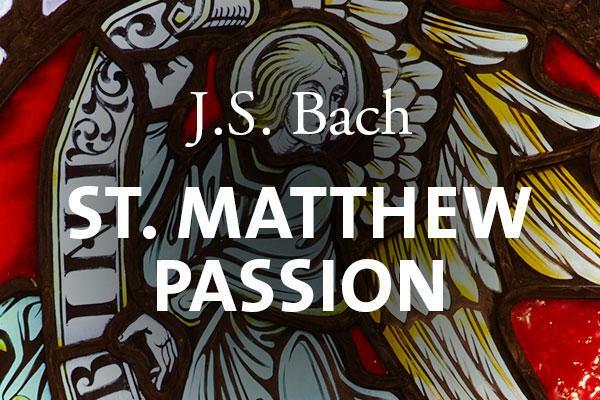 This was the first time St. Matthew Passion had been performed in 100 years, and was followed by further revision and a performance in St. Thomas' Church in Leipzig (Bach's own church) in 1841. Mendelssohn's ground-breaking work is reproduced in a performance given by all three of Duke Chapel's choirs, soloists, and two orchestras. Parking is available for $5 in the Bryan Center Garage at 125 Science Drive. ADA parking is available in surface lot next to the garage. Learn more about this year's Chapel Music season at chapel.duke.edu/music.